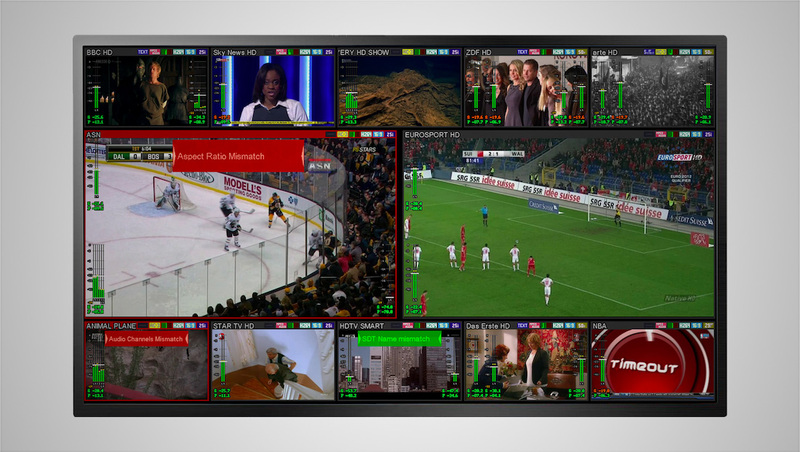 TAG Video Systems will demonstrate its flagship MCM-9000 multiviewer and monitoring platform at the 2019 NAB Show. Optimized with support for emerging standards and additional functionality that will position TAG as a leader in new markets, including broadcast production and post production. The company is also delighted to announce the opening of a U.S.-based operation run by industry veteran Bil Apker. A celebration for customers and the press is being held on Tuesday, April 9 at 4:30 p.m. on the Booth SU6521. At NAB, TAG is presenting its MCM-9000 software only, all IP-based UHD multiviewer and monitoring platform with added features and functionality, including support for emerging formats and OTT, that expand its appeal to applications ranging from college sports venues, to multi-location broadcast networks, global satellite cable and telco operations, production companies and post-production houses. The system combines sophisticated technology with simple operation to deliver consistent, reliable performance that runs on COTS hardware, adding cost efficiency to its long list of benefits. No signal is beyond the reach of the MCM-9000. The solution supports compressed, uncompressed and OTT, HLS and MPEG-DASH, and is uniquely optimized to address the SMPTE ST-2110 and ST-2022-7 standards in HD and UHD — all on the same platform. TAG’s implementation of uncompressed UHD 2110-21 output results in unmatched picture quality at the multiple UHD IP mosaic outputs. The outputs also feature rich data overlays that serve as a strong tool for real-time error detection and alerts. The MCM-9000 is a complete monitoring solution for all the transmission layers of both uncompressed content and compressed MPEG-TS HLS or MPEG-DASH, starting from the TS packet header all the way down to the encoded video content and its quality. The MCM-9000 runs on COTS hardware, making it easy to implement and minimize the overall cost of initial ownership. The entire scalable solution is supplied on a dongle equipped with a reliable and stable Linux kernel. The system boots directly from the provided flash, which requires no installation, no hard drive, or any type of operating system on the server. The system also functions fully in a virtual machine environment with a VM image provided instead of a dongle. New features being shown for the first time at a major U.S. trade show include HD and UHD outputs available as 2022-6/2110 uncompressed or MPEG-TS, and simultaneously HLS to address mobile applications, extremely low latency of 2 frames, making it ideal for production and post production applications, rich, colorful tally/UMD with TSL and TAG’s API protocols and MPEG-DASH monitoring in addition to the HLS. TAG’s Mosaic Builder, the company’s monitoring and multiviewer configuration app, expands possibilities and maximizes flexibility. With a few simple clicks, users can customize the number of inputs, outputs, tiles and design a mosaic layout to meet their specific needs. To ensure optimal performance, TAG will evaluate and recommend the most appropriate off-the-shelf hardware for each user’s application. Following a rigorous testing by TAG Labs, AJA Video Systems’ new IPR-10G-HDMI Mini-Converter was certified as a recommended product compatible with the MCM-9000 platform. NAB visitors will be amongst the first to see demonstrations of AJA’s IPR-10G-HDMI receiving and decoding the mosaic output from the Multiviewer in SMPTE ST 2110 UHD and formatting it for output as a full-size HDMI 1.4 interface. Part of TAG’s MCM-9000 platform, the MCL-9200 is a unique “all IP” software-based solution that decodes, analyzes and displays uncompressed SMPTE 2022-6/7 and 2110 SDI over IP signals and features UHD mosaic output for multiviewer applications and environments. The MCL-9200’s extremely low latency of 2 frames, combined with IP networking and content analysis, fault detection, tally/UMD support and alarms, provides the perfect solution for production, post production and transmission control multiviewing requirements. TAG Decryptor gives content owners confidence that all their content — even OTT — will remain secured while streaming. Content is monitored and analyzed within the TAG MCM-9000 IP software only platform providing a proven and secure method of real time decryption, monitoring and viewing of OTT content after the packager within the secure zone. TAG Network Management System is a powerful option to the MCM-9000 that creates a combined comprehensive monitoring and control system. Utilizing two-way connectivity with the MCM-9000, TAG NMS receives fetches and logs in real-time SNMP alerts, alarms and the status of monitored channels to create short and long-term logs and reports. TAG NMS uses available TAG’s API command sets in order to control all MCM-9000 features, functionalities and configurations, including real time manipulation and automation of video channels, layouts and mosaics.